The CW and Warner Bros home entertainment have announced that Supergirl: The Complete Second Season will release on Blu-ray and DVD on Aug. 22, 2017. The set contains all 22 episodes of Supergirl’s second season, an exclusive commentary with Andrew Kreisberg and Kevin Smith, the show’s 2016 Comic-Con panel, featurettes, and more extras. Supergirl: The Complete Second Season is priced at $49.99 SRP for the DVD and $54.97 SRP for the Blu-ray which includes a Digital Copy. Supergirl: The Complete Second Season is also available to own on Digital HD. The Blu-ray release of Supergirl: The Complete Second Season will include 1080p Full HD Video with DTS-HD Master Audio for English 5.1. The 4-disc Blu-ray will feature a high-definition Blu-ray and a Digital Copy of all 22 episodes from season two. The second season of Supergirl concluded this week on The CW. The season brought in 4.2 million Total Viewers weekly, making it the #2 series on The CW, behind The Flash. Having left the safety of being Cat Grant’s assistant at Catco Worldwide Media in order to figure out what she really wants to do, Kara Danvers (Melissa Benoist) continues to work with Hank Henshaw aka Martian Manhunter (David Harewood) and her adoptive sister Alex (Chyler Leigh) at the DEO as Supergirl – protecting the citizens of National City and searching for her missing father Jeremiah (Dean Cain) and the secret research lab Cadmus. 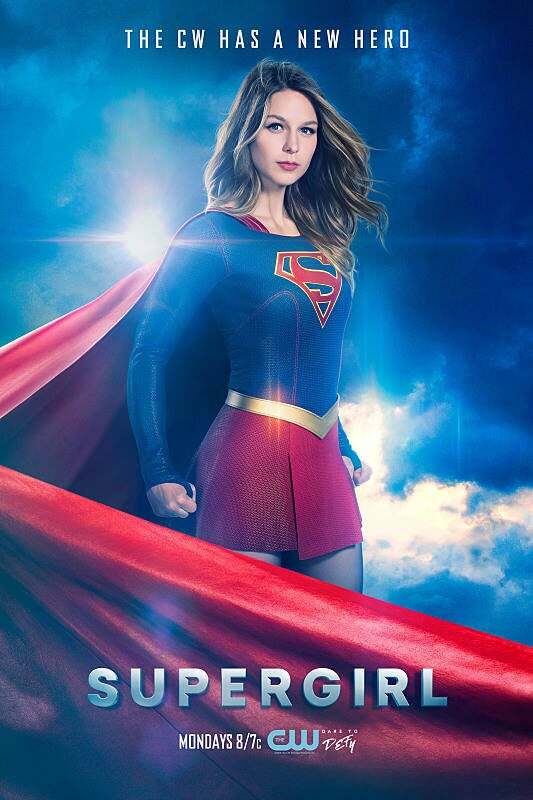 Along the way, she will team up with her Kryptonian cousin Kal-El – aka Superman (Tyler Hoechlin) – to battle new DC Super-Villains both terrestrial and extraterrestrial, as she strives to balance her personal life with friends/allies James Olsen (Mehcad Brooks), Winn Schott (Jeremy Jordan) and more with her busy life as a new superhero in Supergirl Season Two. A complete list of Supergirl: The Complete Second Season bonus features follow. Did Rhea Already Create A Baby With Mon-El And Lena Luthor's DNA? Supergirl: Will Lena Luthor Learn Kara's Secret Identity In Season Finale? Melissa Benoist on the Supergirl Season Finale: "I'm Sorry to All the Fans In Advance"